In the most common understanding of the word, ‘bonus’ is a reward or any extra amount that one may receive over and above the base amount. A similar concept is also applicable to your life insurance policy. In this context, a bonus is an additional sum which gets accrued to the policy on a yearly basis. This amount is paid out by the insurance company to the policyholders upon maturity of the plan, or in case of unfortunate death. Premiums paid by policyholders are pooled within the insurance company’s life fund. The company uses these pooled assets to pay out claims. A large part of the life fund is invested in government-secured debt instruments, with a small portion invested in equity to achieve a desired return. Based upon the earnings from the investments made by the company and its claims experience, the company aims to distribute a part of its surplus to the with-profits policyholders in the form of bonus. The bonus rate is decided after considering a variety of factors such as the return on the underlying assets, the level of bonuses declared in previous years and other actuarial assumptions. Bonus is offered on traditional plans which are built in to the plan structure. To avail of the bonus, it is important that the type of plan you have purchased is a ‘with-profits’ one, often known as a participating policy as well. These types of policies participate in the surplus which gets shared in the form of a bonus to the policyholders. Simple Reversionary bonus (SRB): This type of bonus is calculated on the sum assured only. This bonus is declared annually and is accrued to be paid out at the time of a claim or maturity. Compound Reversionary bonus (CRB): CRB is calculated as a percentage of the sum assured and all previously accrued bonuses. The bonus of each year is added to the sum assured and the next year’s bonus is calculated on the enhanced amount. Let’s take an example to understand which type of bonus is beneficial for you. Rahul Khanna has two participating policies of Rs.5,00,000 each. Let’s assume that on the first policy he gets a bonus using the simple reversionary method and on the second policy he gets a bonus using the compound reversionary method. The SRB declared on the policy is Rs.25 per 1,000 of sum assured, while CRB declared is 3 per cent throughout the policy term. As seen from the table above, the CRB to be accrued at the end of the 10th year is much higher, as compared to the SRB of the same year. Terminal Bonus: The terminal bonus, also known as a persistency bonus, is a bonus paid to indicate an overall performance of a participating policy. The terminal bonus is paid at the time of maturity or death of the life assured. This form of bonus may be given after staying in the policy for a pre-determined time period and is offered at the discretion of the insurer. Interim Bonus: Interim bonus is payable for those policies that mature or result in a death claim in between two bonus declaration dates. While the policy has already accrued the bonus declared at the end of the last financial year, there may be a short period in between the bonus declaration date and the maturity/claim date for which the policy has not received bonus. In such instances, bonus is added on a pro-rata basis using the interim bonus rates declared by the company. An interim bonus ensures that policyholders who claim benefits in midst of a year will receive credit for keeping the policy in force for that part of the year. Cash Bonus: The insurance company may decide to give the bonus in cash, i.e., bonus accruing in a year will be paid to the policyholder at the end of the year. This gives the policyholder an opportunity to receive the bonus year-on-year rather than the usual way of accruing till bonus maturity. Bonus Offered: While evaluating a traditional policy, it is a good idea to consider beforehand the type of bonus that your plan offers. This would be mentioned in the brochure of the plan, or you could also check with your agent/intermediary. Check Bonus Rates: While choosing your traditional plan, make sure to check the bonus rates offered by them over the years. These rates are usually published on the insurer’s website and will give you an idea of the kind of benefits you stand to gain from the particular policy. Additionally, it is recommended that you check the company’s website as few insurers publish the declared bonus rate on their official website. 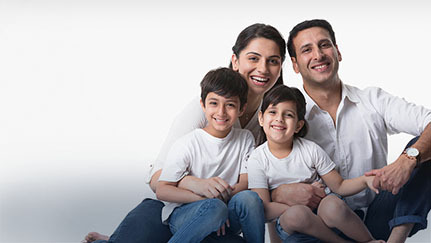 To find out more about our life insurance products, please click here.